Sales and Operations Planning (S&OP) is a powerful decision making tool for business executives as well as line managers. According to Tom Wallace, “S&OP enables the company’s managers to view the business holistically and gives them a window into the future”. The value to any company of balancing supply and demand has long been understood. When we add volume and mix to this equation, we get the four fundamentals needed for effective business balance. For those companies grappling with these 4 fundamentals, S&OP can provide excellent benefits. S&OP’s role is to balance supply and demand at the volume level. 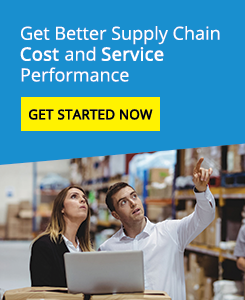 Companies who do a good job at this level find much less problem at balancing the supply and demand at mix level, thereby reducing inventory, improving customer service and improving manufacturing efficiencies. Our team at Logistics Bureau have first hand experience in demystifying S&OP and making it happen within your business. Whether you are working to the Oliver Wight model, the Buker model, the Tom Wallace model or any other model, we can provide assistance in areas such as S&OP implementations, S&OP improvements and S&OP education. Why not have a look at our S & OP Video.